A business’ success depends on more than just its goods or services. In fact, one of the most valuable assets a business has is its trademark. According to the United States Patent and Trademark Office (“USPTO”), a trademark or service mark (“trademark” or “mark”) includes any word, phrase, symbol, design, device, or any combination thereof that identifies and distinguishes the source of goods or services of one party from those of others. A trademark can be anything from a company name, logo or tagline, to its product packaging and appearance. A trademark can even be a distinguishable noise or color – the Coca-Cola name, McDonald’s golden arches, Aflac quack, and UPS brown color are all examples of federally registered trademarks. "A trademark can be anything from a company name, logo or tagline, to its product packaging and appearance." How Valuable is a Trademark? In 2011, Brand Finance estimated the value of Google’s trademark at $44 billion, or 27% of the company’s overall value, making it the most valuable trademark in the world. A study done in 2010 found that Coca-Cola, a similar trademark heavyweight, owes nearly 80% of the company’s value to its reputation and well-protected trademarks. While not all trademarks are worth billions of dollars, the value of a trademark should not be overlooked as it strongly correlates to a company’s goodwill (and vice-versa), which is an aspect of the company that keeps people coming back for repeat sales. Trademark law helps prevent consumers from being misled into purchasing undesired products because of a mark that is similar or confusing to the mark of a trusted brand. Trademarks also help assure quality control with consumers relying on a standard of quality established by the association of a trademark with the owner’s goods or services. In addition, trademark law protects the business’ investment by preventing confusingly similar competition in the marketplace by applying a test of consumer confusion and providing rights and remedies to the owner of the mark. Trademark registration follows the legal standard of “likelihood of confusion,” with the USPTO denying applications for marks likely to conflict with marks that are pending or already registered. A trademark protects a brand’s identity, whereas a copyright protects original works of authorship – such as a piece of art, a song, a movie, an author’s book, and a computer program. As an example, think of a TV commercial. Copyright law would protect the individual advertisement while trademark law would protect the company’s brand being advertised in the commercial. Trademarks and copyrights are covered under the broader arc of intellectual property law (“IP law”), which generally deals with the ‘intangible’ properties resulting from creations of the mind, as opposed to ‘personal’ or ‘real’ properties, which are tangible. Patent law, for example, is another area of IP law, which is dedicated to the protection of inventions. 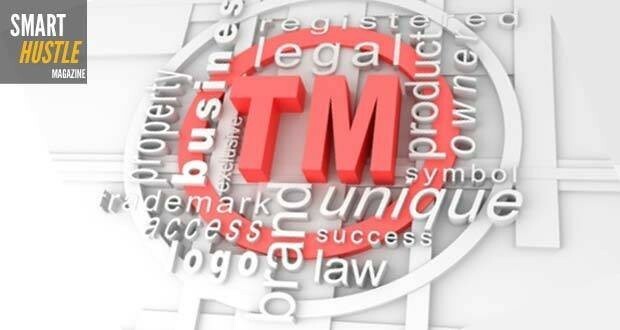 Does your #business have a #trademark? Answer these questions to find out! Do I Have a Trademark? If So, Do I Have to Register It? Does your business provide goods or services? Does your business have a name, symbol, or logo associated with it that distinguishes it against competitors? Are there any specialized packaging, slogans, or taglines involved in your business? If you can answer yes to one or more of the above questions, you may have a trademark and should consider protecting it. Trademark registration with the USPTO is not mandatory and while you can establish rights to a mark based on legitimate use, known as common law rights, there are significant advantages to having a federally registered mark, as well as disadvantages for not having a registered mark.